A subluxation is a condition wherein a vertebra or a region of the spine has lost its proper alignment and capacity for movement in relation to its neighbouring vertebrae. In short, this is when your spinal vertebrae are out of normal alignment. This creates disturbance, irritation, tension, and pressure on the nerves in and around the area. This impedes nervous system function. Since the nervous system controls and coordinates the body, subluxations can cause pain and dysfunction in the bodily systems. Left untreated, subluxations can negatively affect the whole health of the body. Subluxation is another word for a slight dislocation, misalignment, or joint dysfunction of one or more of the spinal joints. 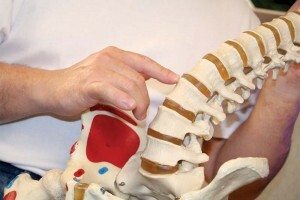 It tends to irritate or aggravate the nerve roots coming from the spinal cord itself. The results of a subluxation may include pain, muscle changes, and organ dysfunction – depending on which nerves are being affected. Emotional subluxations originate from stress on the mind and body. This can range from something small, like the stresses from the daily grind to major emotional stressors, such losing a job or loved one. Uncontrolled stress is a major factor in the deterioration of health.